MDMA (3,4-methylenedioxy-methamphetamine) is the main ingredient of ecstasy pills and is a derivative of amphetamine. The drug gained its popularity due to its mood-altering properties and recreational use at parties. The answer to the question how to make ecstasy is a complicated process that involves usage of a few toxic chemicals such as mercury, formaldehyde, and ammonium chloride. How does ecstasy make you feel? About half an hour after taking the pill (or consuming the drug in any other form) one will experience increased feelings of emotional warmth, energy, and enhanced sensory perceptions. That’s because MDMA stimulates activity in certain parts of the brain associated with these feelings. MDMA was first manufactured in 1912 by a German pharmaceutical company for medical purposes. Up until then, nobody knew how to make MDMA. The drug sparked interest among psychiatrists in the 70’s and early 80’s for its ability to enhance communication in patients who struggle with addressing their issues during psychotherapy. No one is allowed to make MDMA as the drug didn’t have any support of trials on human and hadn’t received the approval of the FDA. Around that time, making ecstasy became more common and available on the streets and had become a craze among young party-goers. However, ecstasy was quickly banned and ever since 1985 (with a little exception of the period between 1987-1988) remained illegal. 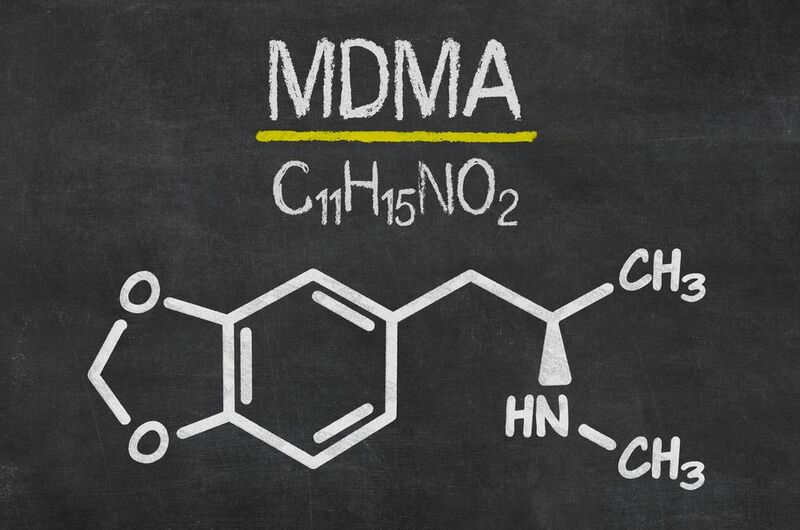 To this day, MDMA is a classed Schedule 1 substance with no medical uses and a high risk of abuse. When one tries to make pure MDMA, it should go without saying that the process is extremely illegal to conduct although it is still relatively easy to buy ecstasy on the street. MDMA stands for methylenedioxy-methylamphetamine. The drug belongs to the larger group of phenethylamines and is a close relative to the methamphetamine group, which means it exists in two enantiomeric forms – R and S.
Making MDMA involves a sophisticated, multistep approach. In its purest form, MDMA ingredients will not include anything but the compound itself. However, this is rarely the case as the drug often comes cut with other substances, such as speed, ketamine, aspirin, or caffeine. MDMA, as a free base is a colorless oil that is indissoluble in water. The compound’s most common salt is the hydrochloride salt, which appears as a slightly yellowish or off-white crystal. However, it is important to remember that high doses of ecstasy ingredients also bring increased risks of several adverse health conditions. Immediately after the drug kicks in, the user may experience jaw clenching, teeth grinding, and profound sweating. Panic attacks and disorientation have also been recorded. These imminent ecstasy side effects, however, don’t even come close to the real threats unsafe usage of the drug poses. MDMA ingredients push up one’s body to the limits it hasn’t been used to. In the UK alone, a total of 123 people have died as a consequence of ecstasy consumption, either on its own or mixed with other drugs. 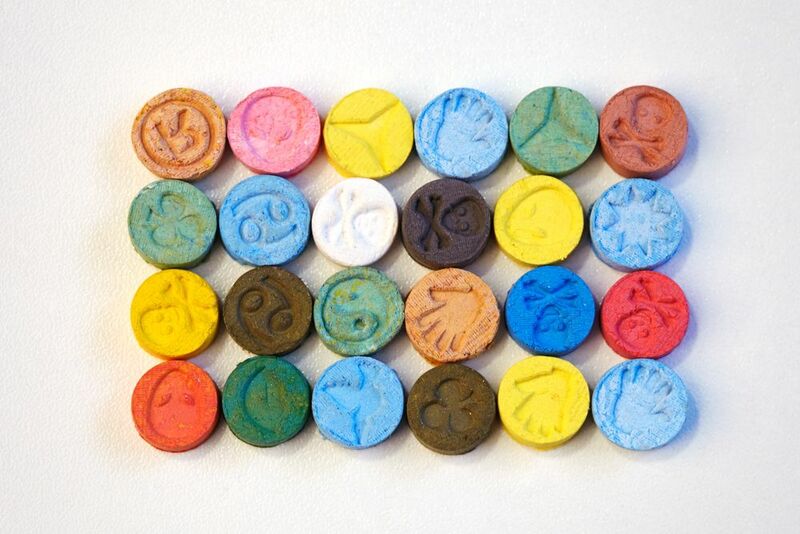 The most powerful impacts of ecstasy start kicking in between 1.5 and 3 hours after consumption. After that, the blood concentration drops steadily and slowly to lower levels before finally being metabolized and excreted. The duration of effects usually lasts between 4 to 6 hours. After that time, the serotonin levels in the brain are depleted, and the comedown phase begins. If one consumes MDMA and alcohol together, the effects may vary. If you are concerned you or your loved one is abusing ecstasy and jeopardizing their own health, contact our hotline on (888)-459-5511. One of our professionals will provide you with more information on the treatment options available. There are several ways of manufacturing ecstasy, but the following one is the simplest, most popular method which doesn’t put off nasty fumes or includes usage of suspicious chemicals. The procedure can be carried out over a series of weekends or a single, longer session. Here are the definitive steps on how to make MDMA. Safrole is a chemical compound that is extracted from the sassafras oil. By distilling the oil from the plant, one can derive pure safrole. Be careful with setting up the distillation apparatus as exposure to safarol may have carcinogenic effects on humans, just like it has on animals. This reaction uses palladium (II) chloride as a catalyst in the oxidation of oxidation of ethylene to acetaldehyde. The whole reaction will take 7-8 hours and doesn’t require any action apart from the initial addition and slow stirring. This means one can set the alarm in due time and go to bed or somewhere else. MDP2P is a precursor to MDMA, which means it is a controlled substance. After conducting the Wacker process, the resulting MDP2P isn’t in its purest form which means it has to be further refined to achieve optimal integrity. The next step in making MDMA includes inciting a reaction between MDP2P and aluminum amalgam. When mixed with MDP2P, aluminum amalgam will reduce to MDMA oil. One needs to be careful with the waste produced by this reaction which includes mercury. Exposure to mercury can result in severe chronic health conditions and some cases death. The final step in the ‘how to make MDMA at home‘ procedure will include forming the oil in anhydrous conditions. The fine, white powder is then pressed into tablets by MDMA manufacturers. Not only is the answer to the question ‘how to make ecstasy’ a set of complicated set of chemical reactions, it is also a dangerous procedure. One is not recommended to attempt in making MDMA at home as it could seriously threaten their health. There are preventive measures one can employ when using the drug to minimize its dangers but the safest one is to steer clear of it altogether. Don’t listen to King. That’s nonsense. Ecstasy is not addictive at all. One and a half ecstasy is a lot to take first time, but don’t worry. Relax, try to enjoy yourself. The effects will wear off. Ecstasy is a relatively safe drug to use occasionally and in small doses. I wish I could still find a good molly that was not cut with crap or even deadly fentanyl or some crazy s**t. I don’t know any drug dealers because I don’t do drugs anymore, but would be fun to party one night. You should take two next time. I am quite amazed at the blatant ignorance displayed in these conversations. My amazement surpasses the subject of MDMA. Simply suffice it to say that using it is foolish; as in like a fool! My amazement is at the display of each conversation participant’s lack of command of our language. This display of illiteracy is itself a sad commentary about education in our society. Even the college educated individual showcases his illiteracy while pretending to be informed. He strings multiple thoughts into one sentence that should absolutely be broken into several sentences. His 2nd grade understanding of indefinite/definite articles and plural word usage is shocking for a college graduate: “an mental disorders” and “I person,” etc. His comment is riddled with punctuation and writing snafus. I don’t need to go into the illiteracy and factual ignorance displayed in the other conversations. This utterly saddens me. Simin is only 16, bless his heart, and is reaching out for help. However, at 16 he should be well into high school and his writing should unquestionably be better than he displayed. I wonder if he and the others actually speak the way they write? I am not hopeful about any of this.